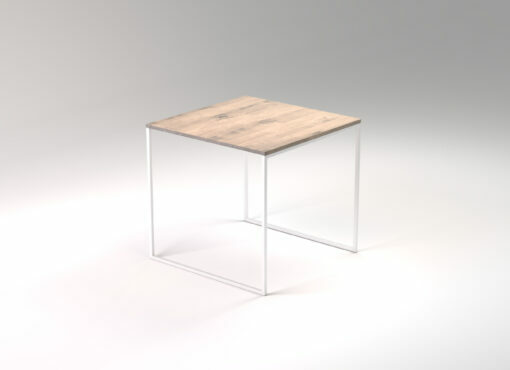 Tabletop – 2,5 cm thick, specially selected, smooth solid oak wood. It has various shades, dark knots and bright lines running along and across the tabletop. Each product is made to order and therefore, depending on the batch of wood, it also has its own unique features, colour and wood grain. Each product is made bespoke to each customer order. Please contact us if you have any questions or special requests. 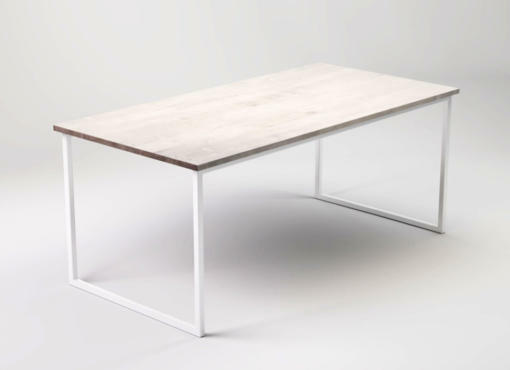 LIGHT FEM is a rectangular dining table with a white metal frame and a bleached wooden tabletop. 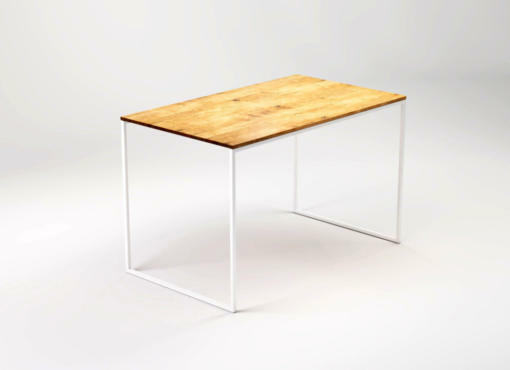 The table is supported only from two opposite ends, leaving plenty of space for the users. 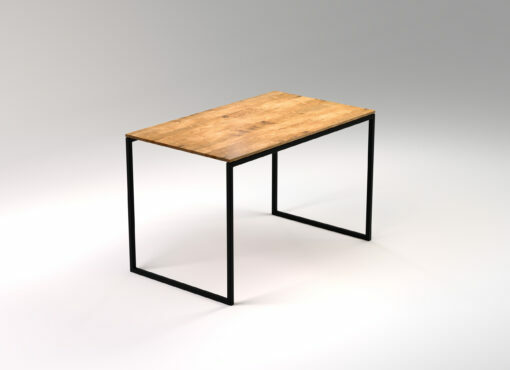 The steel base frame runs perfectly along the edge of the table. Its white colour and glossy surface make the table look very modern, with slightly industrial touch. The oak top is made using traditional woodworking techniques. The smooth surface of the tabletop has a beautiful wood grain pattern and deep colour, only available when bleached natural oak. 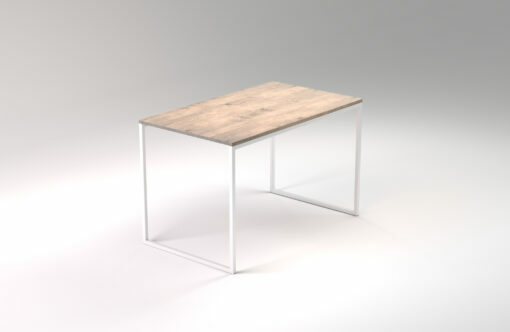 The bleached oak has a nice creamy colour that looks amazing with the glossy white powder-coated steel. Bright furniture seems to occupy less space than dark ones, especially if the room also has bright walls. This is most important in small spaces where appropriately selected furniture and colours will help optically enlarge the room. White dining table is a good option even in spacious rooms. White, as well as black, is easy to combine with any other colour. In addition, it allows to create extremely elegant and sophisticated compositions that fit into the timeless trends of interior design, both modern and classic. In the same way the trendy Scandinavian style and the invariably popular French style or minimalist zen style, are eager to use pure white and bright, creamy shades. LIGHT FEM can be used to create almost any modern style in the interior, individualised and tailored to the needs of the household and in accordance with the personal aesthetics sense. The FEM LIGHT white kitchen table is available in two lengths, 120 and 140 cm. Both have place for 4 people or up to 6 people when needed. This means that even in a small kitchen or small dining room you can fit a table where you can gather the whole family together.